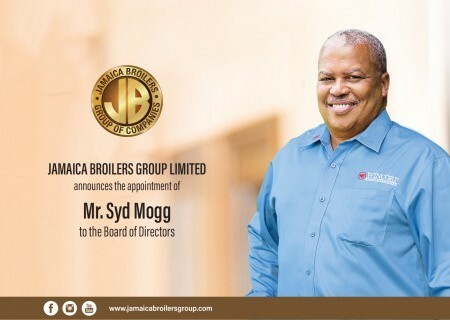 The Board of Directors of the Jamaica Broilers Group Limited wish to advise of the appointment of Mr. Syd Mogg effective February 27th, 2019. 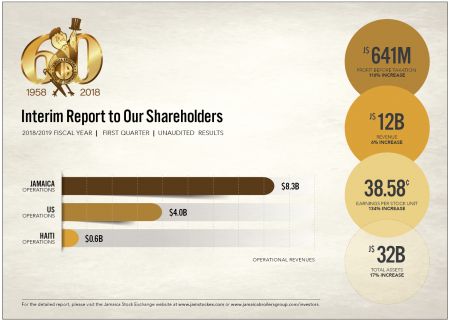 The Directors of Jamaica Broilers Group Limited now release the unaudited financial results for the quarter ended January 26, 2019, which have been prepared in accordance with International Financial Reporting Standards (IFRS). 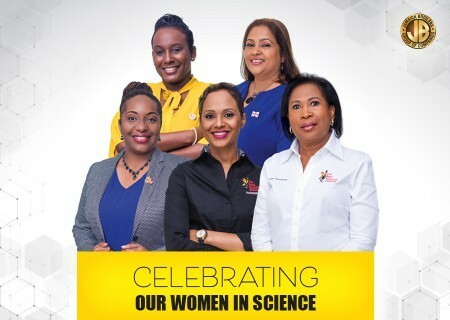 On International Women and Girls in Science Day, the Jamaica Broilers Group honours all women who have helped to advance our company and Jamaica’s Agriculture and Production sectors through their innovations in science. 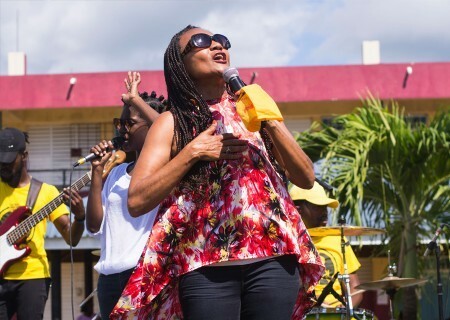 ​Photo: Minister Carlene Davis leads the school in praise and worship on the Best Dressed Chicken 60 School Tour. 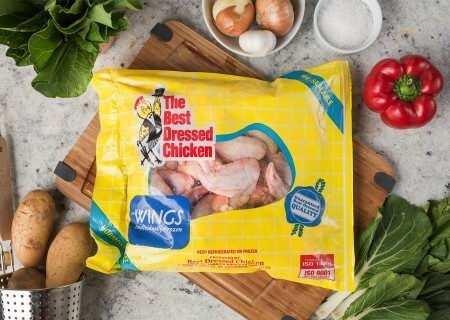 Studies show that most people know how to cook precisely nine meals. Since time and money dictate the make up of your Easy Nine, consider a few switches to make those dishes a little more interesting. 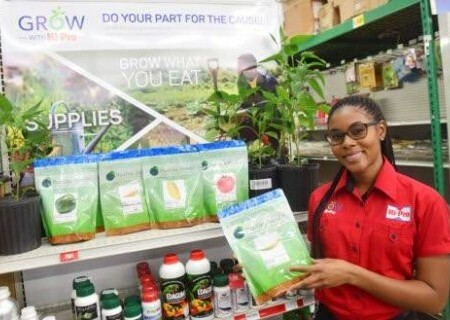 Hi-Pro stores islandwide will soon be providing farmers with a way to combat scarcity among some locally grown foods through the introduction of its PanDia seeds. 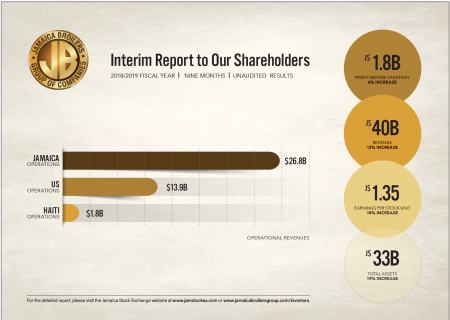 At 17, Steveray Smith had a choice to make. According to the law his mother laid down, he was either going to become an electrician, study business, or do food preparation. 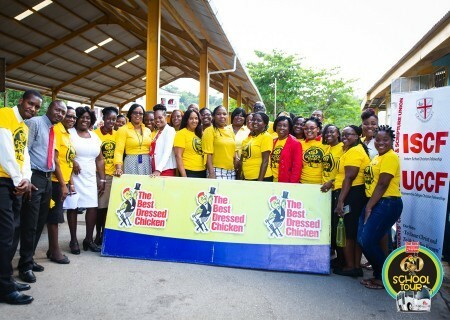 Photo caption: Minister of Education, Youth and Information, Senator Ruel Reid (right), greets students from Holy Trinity High at the launch of the Best Dressed Chicken 60 School Tour. 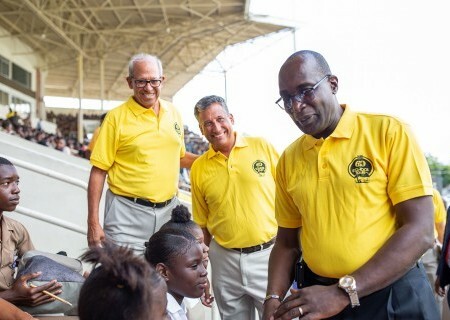 Looking on are Robert Levy (left), Chairman, Jamaica Broilers Group and Group President and CEO, Christopher Levy (centre). Christmas Home Fest at Hi-Pro! 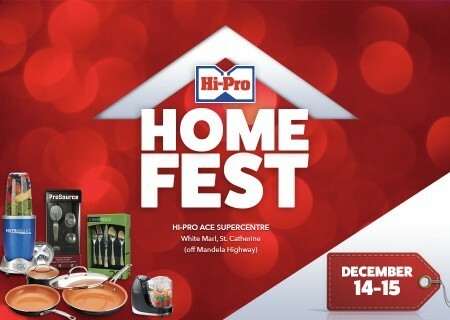 As one of the Caribbean’s largest home centres, the store is preparing to host its first Hi-Pro Home Fest on December 14 and 15 with promises of live product demonstrations, ‘As seen on TV’ products, discounts and more. 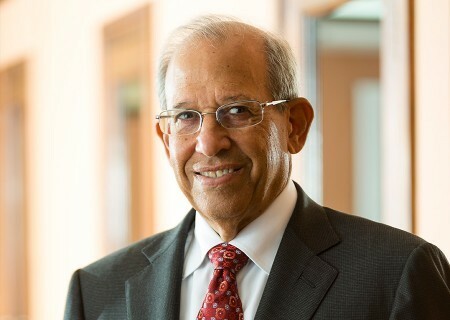 Two mentors addressed them weekly. 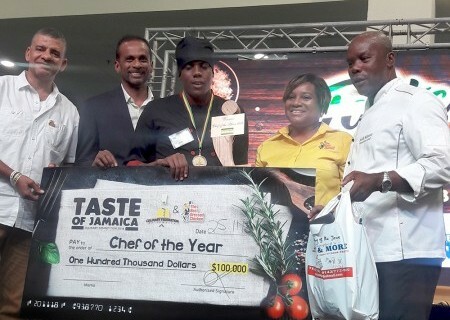 One of them was the chairman of Jamaica Broilers Group, Robert Levy, who testified that as a boarder, he dropped out of JC, despite being privileged, because of poor results and misconduct.